Welcome to Eagles Ridge Lodge If you’re looking for a rustic mountain getaway that offers fun and relaxation in the heart of the Smoky Mountains, you’ve come to the right place! 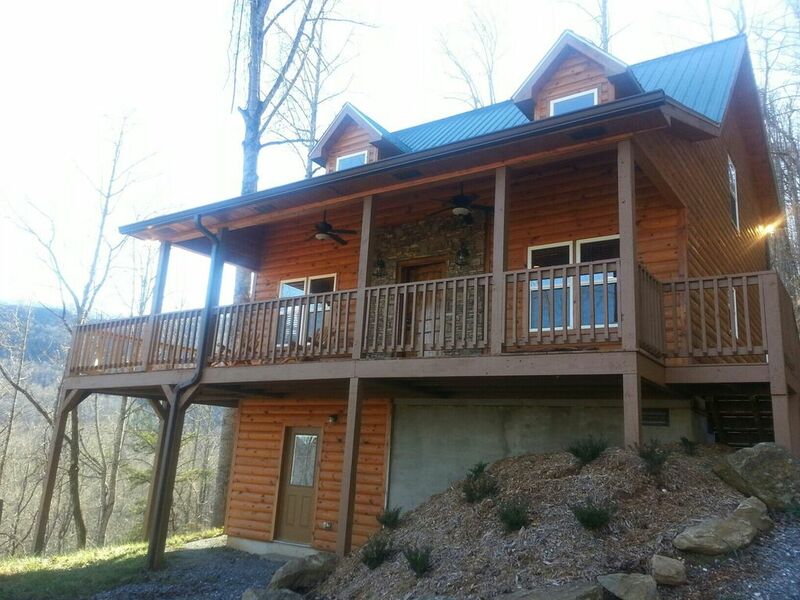 This spacious 3 bedroom, 3 bath log cabin has everything a large family or group could want including gorgeous mountain views, a game room, extra large hot tub, rock fireplace, outdoor fire pit and wireless internet access. Visit our Rates and Availability page to see our competitive rates and online calendar. Come and experience all Eagles Ridge Lodge has to offer and inquire today!